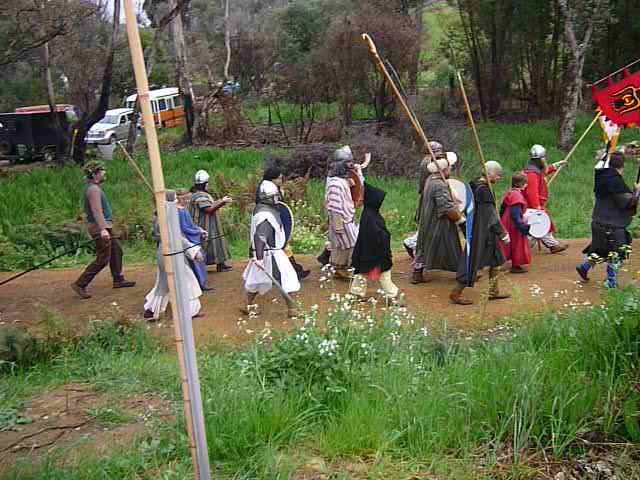 An image of a section of the parade at the Balingup Medieval Carnivale, 2010. The costumed participants march behind a banner portraying an eagle, which might be their sigil. The parade made its way through the town of Balingup before ending at the carnivale site. 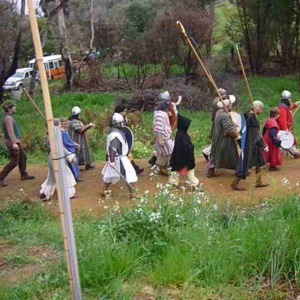 “Balingup Medieval Carnivale Parade,” Medievalism in Australian Cultural Memory, accessed April 25, 2019, http://ausmed.arts.uwa.edu.au/items/show/743.